Perfectly fitting shoes are a big deal here at cBOP. Cathy Dubin, cBOP’s in-house expert children’s shoe fitter, shares why perfect fitting shoes are important for your child and how to ensure they wear a perfectly fitting shoe! cBOP: Cathy, how long have you been fitting shoes? Cathy: I’ve been fitting shoes on children for 35 years. cBOP: Why should parents take time for their kids to be expertly fitted? Cathy: A properly fitting shoe is important for walking comfortably and feeling good all day long. If a shoe doesn’t fit correctly it can cause discomfort and pain. cBOP: What are the benefits of a good fitting? Cathy: A good fitting allows the foot and toe to not be crowded with some room to grow. Children’s feet are constantly changing and growing. A proper fit prevents foot problems, skin damage and allows for comfortable walking, running and growing. Nothing is worse than an ill-fitting shoe! cBOP: How often should children be re-fit? Cathy: For New Walkers, I recommend every 3 months or more, depending on how fast their feet are growing. Toddlers are a bit different and not on the same schedule as New Walkers. For Toddlers, look at how well they are walking in their shoes. Check their toes for a little bit of room in the front of the shoe. Listen for complaints about toes feeling squished. If they start tripping a little as they walk it’s a sure sign that the shoes need to be re-sized. Toddlers often have overnight growth spurts. Sometimes they will wake up in the morning and their feet have actually grown overnight! Having a professional shoe person, like me, check your child’s foot regularly is the best way to make sure that your child has happy feet and proper fitting shoes. I always encourage my customers to come in at any time to get a free foot check. cBOP: What is the biggest mistake parents make when buying shoes for kids? Cathy: Not going to someone who knows what they are doing. Someone handing you a box of shoes, without a fitting, is a prescription for foot problems and issues with walking. cBOP: What should parents expect at a fitting? Cathy: First I sit in front of the child, take their socks off, measure and evaluate their feet to get a proper sizing. Two feet may share a similar size but no two feet are exactly the same shape. My expertise is matching a child’s foot shape with the right brand of shoe for their particular foot. Not every brands is right for every foot. I so love what I do and I take a personal interest in each and every child to make sure the shoe they buy is a good match. I keep a record of every client and their foot size and call them if I know a particular brand that they like has come in with a shoe that would work for them. cBOP: What is your favorite thing about working with kids? Cathy: I enjoy each and every one of their individual personalities. Children are so much fun to work with and so appreciative when they get a new pair of shoes that actually fit correctly and feel great. Cathy Dubin is available to answer all your children shoe related questions in-store and by email. Stop in and meet Cathy, or write to her at cathy@shopcbop.com! 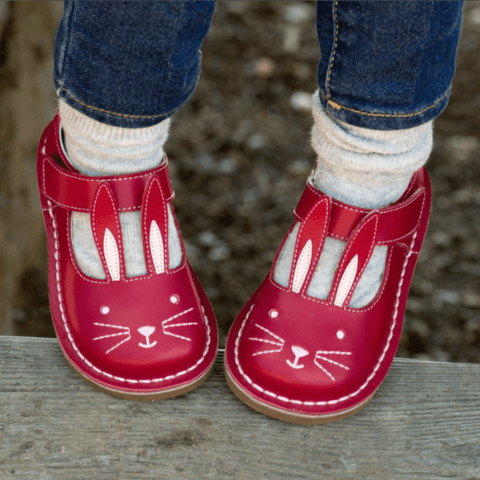 Her warm, bubbly personality will make you and your children feel confident and ready to take on the playground in their new, perfectly fitting shoes!